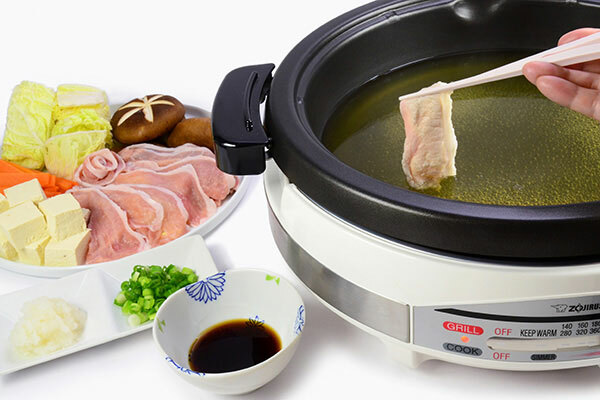 ‘Shabu’ is a Japanese dish in which pieces of thinly sliced meat and vegetables are cooked immediately in boiling water and then dipped in sauce. 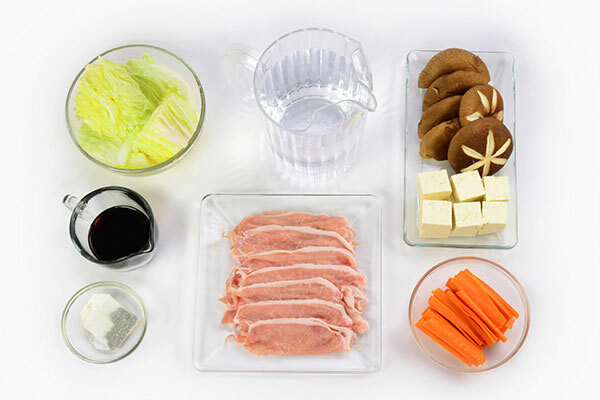 This recipe uses Sencha (green tea) instead of water in a skillet and enjoy fragrant of green tea with meat and vegetables. 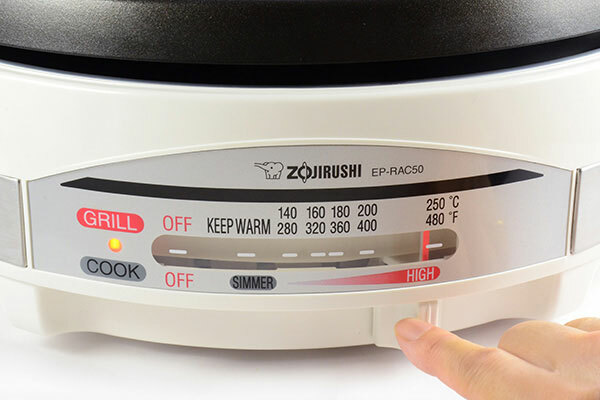 Set Gourmet d' Expert® Electric Skillet temperature at HIGH. 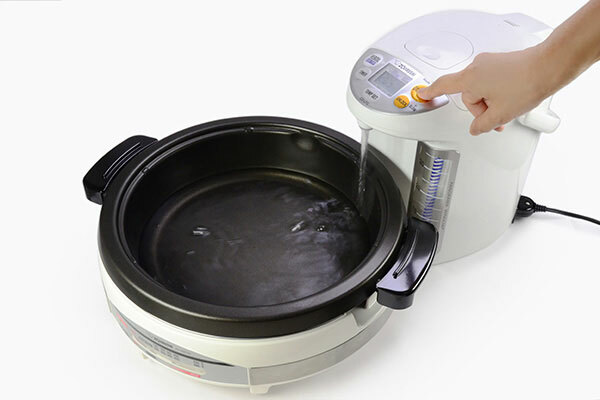 Pour hot water from Zojirushi electric dispensing pot in the pot 3/4 of the way. 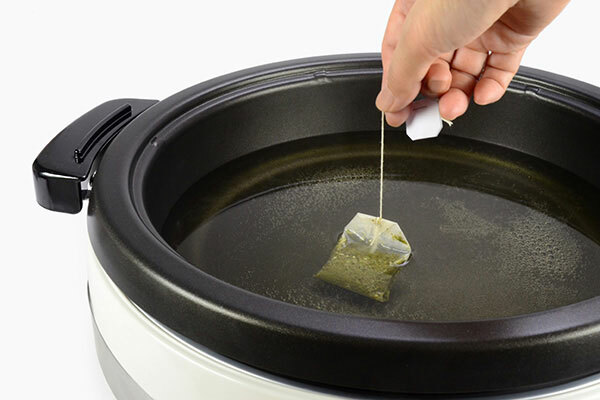 Soak the tea bag to make tea. Simply take one of the ingredients, swish it around in the hot tea for a few seconds for the meat and a few minutes for vegetables. 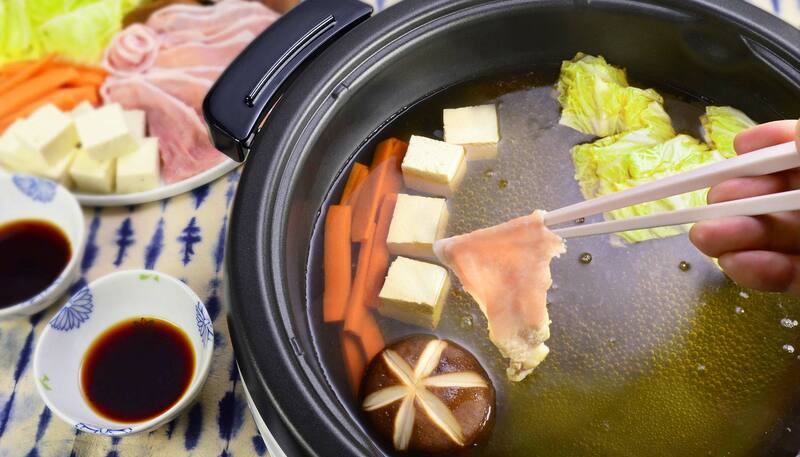 Dip cooked ingredients into ponzu sauce. You may add grated radish and chopped green onions in the dipping sauce if desired.